Hampta Pass Circular Trek is one of the most enjoyable treks in Himachal, with snow slopes, pristine valleys, flowing rivers, and to add to that, you camp in snow. Hampta Pass Circular Trek can be completed in a convenient 4 days from Manali. Arriving at Hampta Pass in June is a unique experience, since the entire route is covered under a blanket of snow. We will meet at Manali Bus stand and then begin our drive from Manali (6725 ft) to Jobra and after a quick briefing session we start our hike to Chika (10400 ft) our today’s campsite. Today’s trek is an easy 2-hour ascent from 9700 ft to 10,400 ft through thick forest and we cross a small bridge. While hiking we can see the River Rani on one side and a huge rocky mountain on the other. The trek passes through some of the most outstanding landscapes. We stay at an overnight camp at Chika. The Second day trek is a steady ascent. While trekking we experience the remarkable Dhauladhar range in the backdrop and Indrasan peak right in front. The best part of today’s hike that we cross two rivers one at the beginning, just near to Chikka Campsite and other at Jwara Nala. We will have our lunch after crossing the Jwara nala. Day 3 - Trek from Balu ka Gera to Hampta Pass and Return (14,100 ft). This is the most amazing part of the trek as we summit the Hampta Pass and then trek back to our camp site at Balu Ka Gera. From Hampta Pass you can view the Indrasan Peak and its enormous glacier. The trek will take us around 8hrs to return to our camp. The ascent will be moderate. Today we have an easy descent through the Hampta Valley. We trek back to Jobri via the same route and reach Jobri and then drive back to Manali. (Recommended) Camera with sufficient memory and fully charged batteries! Manali is the base location for our Hampta Pass trek. Our meeting point in Manali is the Government bus stand opposite the mall road. We will pick you up at 11:00 AM in the morning and start the drive to Jobri. Reiterating, the entire drive from Manali to Jobri takes around 1 hour. Manali is well connected with comfortable Volvo buses being run by governmental and private operators. You can catch luxury and normal buses to Dehradun, which are available from Kashmiri Gate Inter-State Bus Terminal(ISBT), as well as Anand Vihar Inter-State Bus Terminal. The journey takes around 12-14 hours. The closest airport to Manali is the Kullu Airport which is well connected via flights from Delhi. The distance between Kullu and Manali is around 1 hour. To check the availablity of flights, check makemytrip.com/yatra.com/easmytrip etc. What is the Hampta Pass Trek? 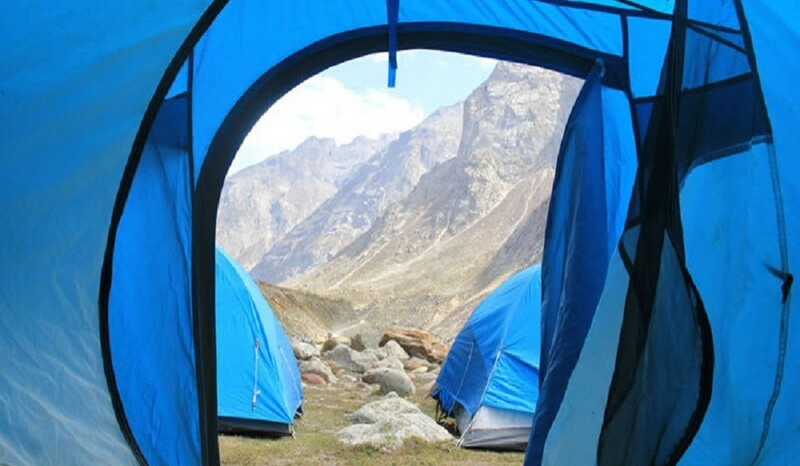 Hampta Pass is an easy high altitude trek done primarily during the monsoon. The trek is situated in the Kullu district of Himachal Pradesh. When is the best time to go to for the Hampta Pass Circular Trek? The best time to go for the Hampta Pass Circular Trek is during the months of May and June, when the entire route is covered under snow. How difficult is the Hampta Pass Circular Trek? Hampta Pass Circular Trek is considered an easy trek by comparison. The trek starts and ends at the same point, and the total distance covered is around 27 km. What is the temperature range during the Hampta Pass Circular Trek? During the Hampta Pass Circular Trek, temperatures vary between 0-20 degrees celsius. There’ll be considerable difference between day & night, and in direct sunlight & shade, so it’s important to plan accordingly. Normally our treks are designed in such a way that we reach our camp by lunch time. On an average, trekking distance is roughly 6-7 km each day, and it takes around 6 hours for an average trekker to cover that distance. Diamox help in acclimatization, but we do not advise it. Please consult your doctor before taking it. All our treks are led by certified & experienced Trek Leaders/Guides. We believe in sustainable adventure and eco-tourism, which in effect means that our teams are locally sourced. Other than a trek leader in our team, we will have local guides, a cook, helpers and porters. We make it a point not to have more than 15 people in a trekking group, because we believe that the best way to enjoy adventure is in small sustainable groups. Our Fixed departures are guaranteed and a promise to our customer, that even if there is a single trekker, we will proceed with the trek at a loss. What things do we need to carry for the trek? You can follow the packing list provided above. Can I offload my backpack on a mule/porter? What are the charges for the same? Ideally and always, when you are in the mountains, you should be self-sufficient and you should carry your own backpack. However, the charges to offload a backpack of roughly 9 kg or less is about Rs. 250 per day. Good trekking shoes with an appropriate fit are a must. How many trekkers will there be in a tent ? What are the meals during a trek? We serve a wholesome and nutritious breakfast, lunch, dinner and evening snacks. The food is vegetarian, and it is preferable, as vegetarian food is easy to digest at high altitudes. The advantage of trekking the Himalayas is that your trekking route is filled with fresh Himalayan streams. Your trek leader/guide will direct you to places from where you can fill clean water. We recommend this water, but in case you are unsure, you can carry water purifying tablets with you. Our team at Renok is trained in handling high altitude emergencies. Apart from being trained mountaineers, they bring a wealth of experience in dealing with high altitude illnesses. We carry First aid kits and oxygen cylinders with us, and in case of other medical emergencies, we rescue the trekker till the road head. If any additional cost of evacuation is incurred, it is borne by the trekker. Also, before the trek it is your responsibility to get a medical fitness checkup by a doctor which certifies you are fit enough for this trek. Can you customise the Hampta Pass Trek? Yes, Hampta Pass Trek can be customised. If you would like to travel independently, you are invited to choose any of the trips at your convenient time for any number of people. 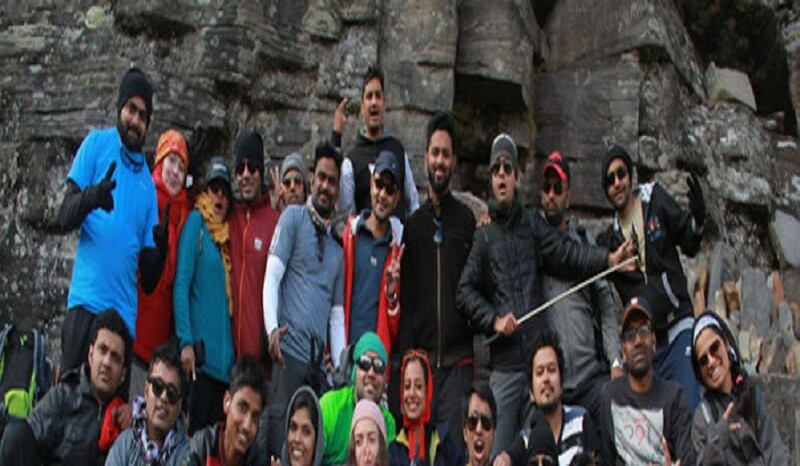 The cost for private customised trips is fixed on the basis of group size, trek area, duration and trek style. What if the trek is cancelled at the last moment due to ‘force majeure’? We will offer you alternate trek options of similar value, if a trek is cancelled due to ‘force majeure’, depending upon the weather conditions. In case of non-completion of the tour due to any reason whatsoever, there will not be any refund for any unutilised services. We will reschedule your trek without any extra charge if this is conveyed to us in writing at least 1 month before the starting date of the trek. Transport from Dehradun to base and Return.